You are here: Home / Uncategorized / Introducing…St. Luke Summer 2018! Join the FUN and EXPERIENCE the St. Luke difference this summer right in the heart of Columbus! Campers will enjoy adventures in art, music, science, math and much more. The St. Luke campus will be alive with activity as campers experience the St. Luke Innovation Station STEAM Lab, take the Ministry Center stage to perform, fine tune their wrestling moves in our new Wrestling Room and improve their athleticism on the court! Please click here for a link to our camp brochure and to see individual camp descriptions and details about pricing and age/grade requirements. St. Luke Summer is open to children ages 2-14 years of age. Registration for St. Luke Summer begins March 1st. 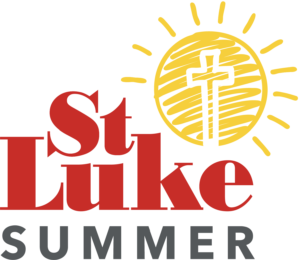 To register for any St. Luke Summer camp offering, simply go to www.cornerkidz.com (or copy and paste the following in your browser: http://www.123formbuilder.com/form-3494326/CURRENT-2018-St-Luke-Summer-Camps). « Come See Us At Open House!